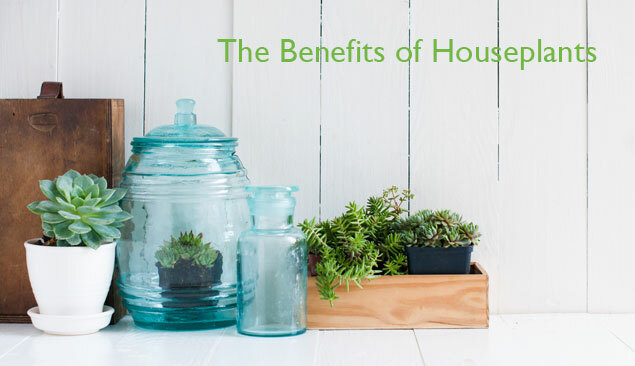 Houseplants can serve many purposes – people usually have them for decorative or style reasons but were you aware that they can also offer health benefits for you and your household environment? And, that if you pick the right ones, they can also provide food for the household? Let’s look in more detail at these three key benefits of houseplants. For many people, their first experience of owning a houseplant comes after being given one as a housewarming present. Big or small, a houseplant is an excellent gift to give someone no matter what the occasion and they can be styled with a colourful planter or pot to fit in with the household décor. There are numerous houseplants to suit any household, no matter what the size or style. A small flat or home is probably more suited to plants at the smaller end of the scale such as a small ivy, a bonsai tree or a cactus. A trailing plant on a bookshelf can offer an eye-catching feature in a small home. At the other end of the scale, large houseplants such as a specimen tree can be a stunning feature in a larger home. It’s a fact that plants help keep us healthy by absorbing carbon dioxide and producing oxygen, whether they are indoors or out. But there are specific benefits to having plants indoors – for example, they can help to regulate humidity, keeping it within a healthy range no matter what the season. There have been numerous studies done on the health benefits of houseplants, including a famous one by NASA which looked at which plants were the most effective to filter and improve air quality in confined spaces. So which plants should you choose to provide the best quality of air in your home? Commonly found plants such as the Spider plant, Gerbera, Chrysanthemum and the Weeping Fig have all been shown to be excellent at improving the air quality in an interior space and they should be easy to find at your local garden centre. If you are interested in growing your own food, it’s not necessary to have outdoor space – it is possible to grow a wide range of food-producing plants inside the home. With a bit of thought and effort, it should be possible to produce a decent harvest using pots on windowsills, conservatories or other warm and bright spots. Fresh herbs can be easily grown in small pots, letting you add instant flavour to your meals. Other small and easy plants to grow include tomatoes, chilli peppers, salad greens and carrots. It’s also possible to buy dwarf fruit trees which might work well in a sunny conservatory.